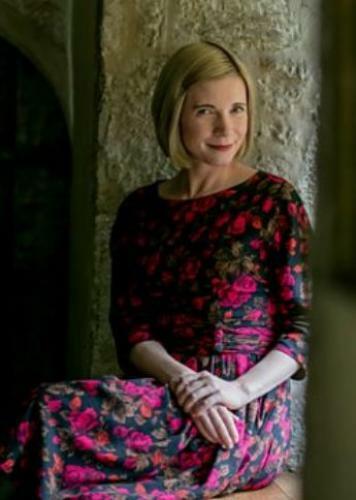 When will be Six Wives with Lucy Worsley next episode air date? Is Six Wives with Lucy Worsley renewed or cancelled? Where to countdown Six Wives with Lucy Worsley air dates? Is Six Wives with Lucy Worsley worth watching? In an ambitious and groundbreaking approach to drama and history, historian Lucy Worsley time travels back to the Tudor Court to witness some of the most dramatic moments in the lives of Henry VIII's six wives. By focusing on the women central to this significant period of history and uncovering private moments that were reported by eyewitnesses or recorded in historical documents, this landmark series provides a fresh new perspective on a familiar story. Combining drama, written by Chloe Moss, with Lucy's own contemporary historical comment, Lucy will move seamlessly from the present to the past, appearing as a range of silent servants: a maid, a midwife, a nursemaid.Often related to each other, the Tudor court was made up of a small group of powerful families all vying for influence and power over each other. While it was a world run by men and the King had ultimate power, each Queen found their own unique methods of exerting influence. It is these women's stories that Lucy wants to uncover, witness and explore, as well as offering a very new lens on Henry himself. Lucy sees the early passion of young Henry VIII and his first wife, the Spanish princess Katherine of Aragon, and follows Katherine through her emotional and physical struggles to give Henry the heir he so desperately needs to continue his own dynasty. 16years into their marriage, Katherine finally has a baby who lives - the only problem is that it's a girl. Henry's eye wanders to the ladies at court - first to Mary Boleyn and then to her sister, the infamous Anne. Lucy travels to Rome to read the love letters that Henry sent her, now kept at the Vatican. Not wishing to be laid aside as her sister had been, Anne Boleyn spurns all Henry's advances - unless he marries her. Henry needs the Pope to annul his marriage to Katherine but the diplomatic process to get this proves harder than he ever could have imagined. Henry is still desperate to marry Anne and be rid of his wife Queen Katherine. The Pope is still refusing to annul the royal marriage, but there is a new revolutionary form of Christianity emerging in Europe - and Henry begins to see how he could become head of his own church in England in order to marry Anne. Lucy is a witness at the wedding of Henry and Anne - where the bride is already pregnant. As Anne is crowned Queen in Westminster Abbey, she prepares to go into confinement for the birth of their baby and a baby girl is born - Elizabeth. Meanwhile, rumours start to circulate that Anne has been having affairs with several men - including her own brother. Lucy witnesses Anne desperately pleading with Henry, but she is soon arrested and brought to the Tower of London. As soon as Anne is dead, Henry marries Jane Seymour. Lucy serves at a dinner in which Jane has an argument with Henry about the destruction of the monasteries. Jane fulfils her most important role as Queen: giving birth to a healthy son, baby Edward. Henry's joy is overshadowed by grief as Jane dies 12 days later from an infection. Lucy Worsley revisits key events in the lives of Henry VIII's six wives, revealing how each attempted to exert influence on the king and the Tudor court; this episode follows Henry's marriage annulment to Anne of Cleves due to non-consummation. Middle-aged Henry then marries teenager Catherine Howard two weeks later, only for her to be convicted of treason and beheaded. Henry's last wife, Katherine Parr, is a good stepmother to his children, but her religious views differed greatly from the king's. Her book, Prayers or Meditations, was the first book to be written in English by a woman, but its popularity threatened Henry's advisors. Lucy observes as Katherine narrowly escapes being arrested for treason. Henry dies and his son Edward VI takes the throne, Katherine remarries and gets pregnant but tragically dies a week after the baby is born. Six Wives with Lucy Worsley next episode air date provides TVMaze for you. EpisoDate.com is your TV show guide to Countdown Six Wives with Lucy Worsley Episode Air Dates and to stay in touch with Six Wives with Lucy Worsley next episode Air Date and your others favorite TV Shows. Add the shows you like to a "Watchlist" and let the site take it from there.